Project Description: Westech Engineering worked with Pacific Reality & Associates to complete a tentative master development plan for a 28 acre commercial site. This early work included wetland mitigation and relocation as well as mass grading the entire site. To date, the entire site has only been partially developed. 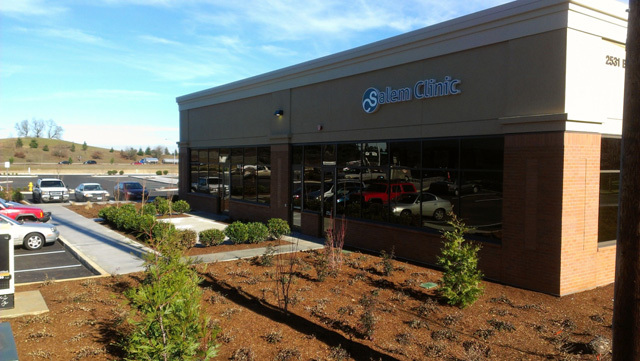 Westech recently assisted Pacific Reality & Associates with the Civil design for the completion of the Salem Clinic building and an additional commercial shell building project. Due the location of these buildings, the entire site had to be mass graded prior to the construction of the buildings in order to allow for future development at other locations at the site. In addition to the onsite Civil infrastructure, Westech also prepared the design for public street improvements. The public street improvements included street widening along Boone Road, Battle Creek Road SE and Kuebler Blvd. The street widening project was also master planned to minimize future street construction costs.